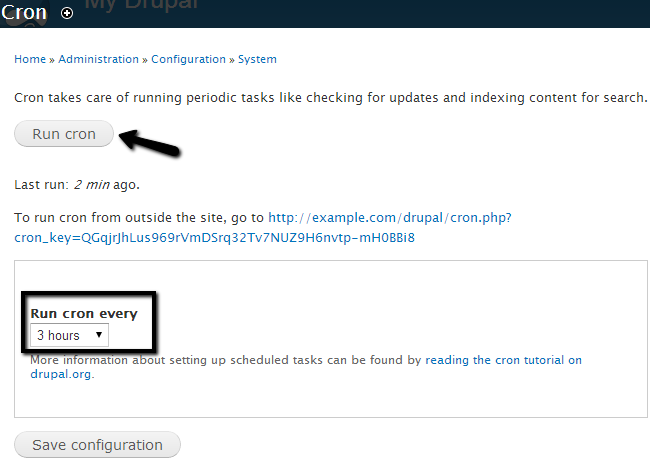 This tutorial will review the process of running the Drupal cron manually. This may be required if you need to update certain data on your website instantly. First, you need to log into your website as administrator and then click on the Configuration tab from the main menu. 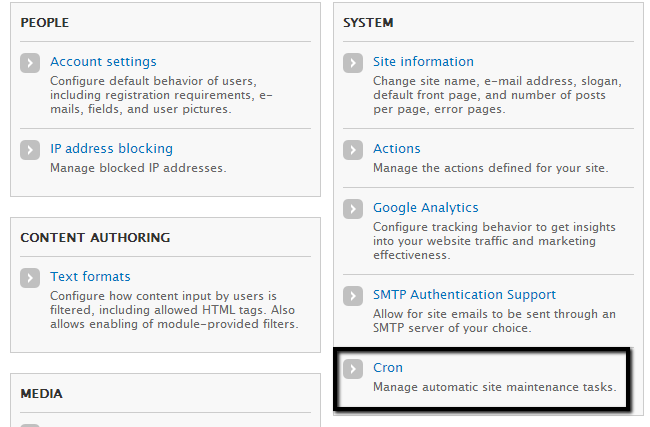 Locate the System section and click on Cron. Click on the Run cron to execute it manually. Note that you can set the interval of the cron job via the Run cron every section. There is a drop-down with the options that you can choose from.